Real Oasis stock a wonderful hire range of wedding plants to help create the wow factor at your special occasion including stunning topiary plants and topiary trees all of which are evergreen . 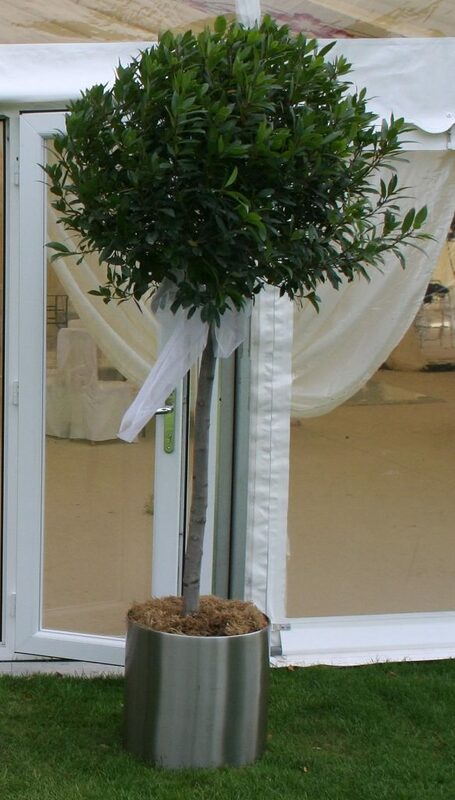 Regardless of whether you want to hire wedding plant or to create impact at a commercial event, you can choose from a range of beautiful topiary spirals through to deluxe or extra large Bay tree lollipops or topiary Box balls. If you want to create a formal look topiary plant hire is an ideal solution. All of our topiary plants and trees can be for use either indoor or outdoor hire throughout the year. All the plants illustrated are suitable for adding LED fairy lights for added impact the larger plants will also work with high-powered LED lighting. Looking for trees to complement topiary wedding plants? Our Olives work extremely well as an statement tree to hire. N.B. All our topiary plants are “real plants”, we do not hire artificial topiary. Why? Because we really don’t like the look of artificial topiary, it’s all down to personal taste. If you are not sure of what type of wedding plants to hire? Call us for advice and ideas on 07929 12 13 47.